The Sennheiser 531302 Whip Antenna is designed for use with the EK 100 G3-G Receiver (sold separately). It features a frequency range of 558 to 626 MHz. 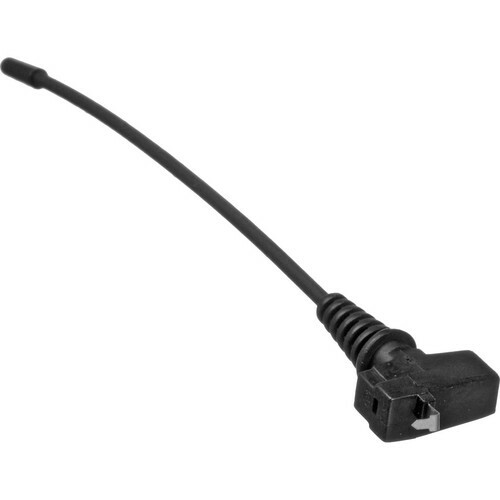 Box Dimensions (LxWxH) 7.0 x 4.0 x 0.03"
531302 Whip Antenna for EK 100 G3-G Receiver is rated 4.9 out of 5 by 7. Rated 5 out of 5 by Robert M. from Excellent product and very easy to install I have needed to replace the antennas on my order G3 receiver and transmitters for a few years now and just could not part with them long enough to send in for repair. I found a video on YouTube showing how to change out the parts and it could not have been simpler. Excellent product, fast shipping and the cost was GREAT! Rated 5 out of 5 by John from They carried what I need, no one did. I looked all over for sennheiser g3 antennas and even sennheiser had to wait several weeks. Loved that they carried it and got it super quick!! Rated 4 out of 5 by Petey from Great Replacement Antenna Easy to replace on my ew100. Great product! Rated 5 out of 5 by Armando from Excellent! Very serious seller.. ultra fast shipping! Rated 5 out of 5 by Alonzo from Great Fast delivery. Yes, im fairly sure it will work. I used this part to replace the antenna on a Sennheiser receiver which I am guessing was the same model as yours the first EW100 that took two AA batteries instead of a single 9v. No problems as far as I can recall. Good luck. Does this antenna works in any frequency of the G3 transmitter and receiver? Asked by: John Philip C.
Yes it does work good. Does it work with ew 100 g3 receiver? Yes, that's exactly that that antenna is designed for. It worked great! This antenna suits for the G3 transmitter also? Does it works with Sk 100 G3 bodypack? (Ew 114 G3). The frequency range of my bodypack is 626-662 (B). Yes, it seems to work on several of the frequencies. Do you have this antenna in B band or 626-662 MHZ? This antenna is suitable for all ranges, it is long enough for that. If you want a specific range, you can trim it to the desired length.